← International and European Sports Law – Monthly Report – August 2016. By Kester Mekenkamp. On 14 July 2016, the Belgian competition authority refused to grant provisional measures to the White Star Woluwe Football Club (“The White Star”), which would have allowed it to compete in the Belgian top football division. The club was refused a licence to compete in the above mentioned competition first by the Licences Commission of the national football federation (“Union Royale Belge des Sociétés de Foootball Association” or “URBSFA”) and then by the Belgian court of arbitration for sports (“Cour Belge d’Arbitrage pour le Sport” or “CBAS”). The White Star lodged a complaint to the national competition authority (“NCA”) and requested provisional measures. The Belgian competition authority rendered a much-overlooked decision (besides one commentary) in which it seems to accept the reviewability of an arbitral award’s conformity with EU competition law (articles 101 and 102 TFEU). In April 2016, the White Star won the 2015-2016 Belgian’s football second division championship (until then known as the “Proximus League”, but as of the 2016-2017 season renamed “Division 1B” or “D1 B”) and, as such, was, on sporting grounds, expected to accede to the top division (“Division 1A” or “D1 A”, but previously called “Jupiler ProLeague”). Article 406 provides for the so-called ‘continuity obligation’ which, in a nutshell, aims at ensuring the financial stability of the club for the entire season to come. Article 407 draws up a list of general conditions by which all professional clubs have to comply with. Articles 408 and 410 provide for specific conditions for either D1 A and D1 B clubs. On 12 April 2016, the URBSFA Licences Commission (“Commission des Licences”) refused to grant the D1 A or the D1 B licences to the White Star to the effect that the club did not comply with the general conditions provided in article 407. According to the Licenses Commission, the club suffers from chronical financial problems (including unpaid debts) and it had no guarantees of having access to its stadium for the upcoming season as no agreement had been reached at the time with the municipality. The White Star appealed the decision to the CBAS, which rendered its arbitral award on 6 May (award published on 13 May). The arbitral tribunal annulled the first decision of the Licences Commission, insofar as at the time of the hearing the White Star provided further evidence that it complied with the general conditions. However, the CBAS finally decided not to grant the licence, because the club’s financial stability was not ensured and, as a consequence, it did not comply with the ‘continuity obligation’ provided in article 406. The arbitral tribunal highlights the club’s chaotic financial situation in its award and concluded that the club could not be granted either a D1 A or D1 B licences. Consequently, the club should be relegated to the third division and be subject to amateur status. The White Star sought provisional measures before the NCA in order to be granted a professional licence and participate in the D1 A 2016-2017 championship. To grant an interim measure, the NCA has to make a prima facie assessment of the alleged infraction which, in this case, relates to the licencing system. The question is whether a refusal to grant a licence to a football club, which would allow it to participate in the first division infringes competition law. Without prejudice to the final decision, the NCA recalled that the licence system at stake had already been assessed and found compatible with EU competition law provisions in previous decisions. Furthermore, the NCA indirectly assessed the modification of the system that was decided in 2015 by the Belgian federation, which provides for stronger control over financial conditions and continuity obligations. It is widely acknowledged that a licencing system has a restrictive effect because it limits access to football competitions. Without said licence, a club cannot enter the relevant market. However, those effects were found to be inherent to the organisation of sport competitions (Meca Medina, C-519/04, 18/07/2006) and proportionate to its objective, i.e. to make sure that all clubs are able to sustain their participation in the competition, as a financial default of one club during the season would threaten the position of the competition and of the others clubs. Subsequently, the Belgian competition authority decided that it was not established prima facie that there was a breach of competition law provisions either with regard to the ‘continuity obligation’ or its application. The surprising aspect of the decision is that the NCA envisaged an alternative and less restrictive measure by integrating the White Star into the second division without it being requested by the club in its complaint. Both D1 A and D1 B licences were refused because after the 2015 modification of the regulation, the criteria for both divisions converged in order to professionalize the second division. This means that if the D1 A licence is refused, the probability is relatively high that the other licence (D1 B) will be refused as well and that the club will be relegated to the third division. The NCA concluded that this arrangement was inherent to the modification of the regulation and that it was not, prima facie, a disproportionate restriction. The decision also stated that the balance between the White Star’s interests and those of other clubs would be compromised if no breach is found in the final decision. 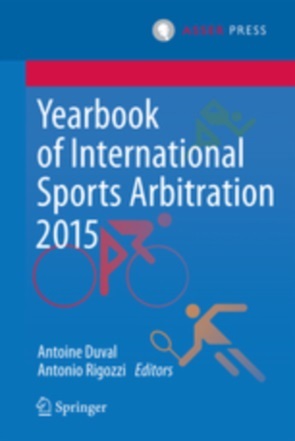 The most interesting part of the decision is on the interaction between EU competition law and sports arbitration. The Belgian football federation’s regulation provides for the exclusive competence of the CBAS to appeal the Licences Commission’s decision (article 421). The arbitration tribunal then has the duty to conduct a further factual and legal examination of the case. The award is still amenable to an action for annulment in front of the First Instance Tribunal (“Tribunal de Première Instance”). The possible grounds are listed exhaustively in article 1717§2 of the Belgian Judicial Code (“Code Judiciaire Belge”). This procedure is not unknown in sports law and is rather similar to the system in force at the Court of Arbitration for Sport (“CAS”) in appeal procedures following a sports federation’s decision where the regulation of the body concerned expressly provides for it. Judicial review of the CAS award is also available before the Swiss Federal Tribunal on a very limited number of grounds. Challenges to arbitral awards concerning sports matters on EU competition law grounds is not a novelty either. In the past, the European Commission (“Commission”) and the Court of Justice of the European Union (“CJEU”) received complaints on EU competition law grounds involving arbitral awards rendered by the CAS. All these cases have one thing in common: both the Commission and the CJEU decisions did not refer directly to the arbitral award and went on instead to examine whether the rules of the sport governing body (“SGB”) on which the awards were grounded were compatible with EU competition law provisions. Already with the Meca Medina case the CJEU limited its assessment to FINA (International Swimming Federation) anti-doping regulations. The same approach was used by the Commission in the ENIC case referring to the UEFA rule on multiple ownership of football clubs (COMP/37 806 ENIC Plc/UEFA, 25/06/2002) and the Cañas case regarding the ATP anti-doping code (COMP/39471, Certain joueurs de tennis professionnels v. Agence mondiale antidopage, ATP et CIAS, 12/10/2009). In those three cases, the SGB’s rules were found compatible with EU competition law provisions as long as they are proportionate to their objective, which was deemed the case in such instances. However, if the rule at stake had been found in breach of articles 101 or 102 TFEU, the award would be contrary to EU competition law as well. The Court and the Commission are reluctant to give way to challenges against arbitral awards based on competition law provisions. In Meca Medina, the Commission and the Court both criticized the applicants’ choice to submit a complaint based on EU competition law while they did not appeal the CAS award in front of the Swiss Federal Tribunal. In Cañas, the Commission endorsed CAS as a legitimate independent institution whose role as a sport arbitral institution is comparable to that of national courts. It is particularly striking that the Commission is reluctant to be seen as an alternative appeal mechanism against CAS awards, and here probably lies the explanation as to why it restricts its assessment to the SGB’s rule and leaves the arbitral award aside. The Belgian competition authority faces the same type of challenge in the White Star case in which the arbitral award was an appeal of the Belgian football federation’s decision based on the federal regulation providing for a licence mechanism and, as a consequence, restricting the access for the club to the market of top division football matches. Had the NCA followed the Commission and the CJEU practice, it would have ignored the award and directly assessed the SGB’s rule under EU competition law. Yet, the Belgian competition authority did not leave the award aside. To apply EU competition law provisions to that case, the NCA did not have any difficulty in considering that the football federation is an association of undertakings (nothing new and revolutionary here), and quickly concluded that the CBAS is neither an undertaking nor an association of undertakings following the Commission assessment in Cañas. However, and the innovative aspect of the decision lies here, it considers that the interpretation of the URBSFA regulation enacted by the football federation, an association of undertakings and as such bound by competition law provisions, may be a restrictive practice even though the CBAS is not in itself subject to competition law. The licensing requirements provided by the federal regulation are subject to competition law scrutiny because the URBSFA is an association of undertakings. The arbitral award annulled and replaced the URBSFA Licences Commission’s decision, as the CBAS has unlimited jurisdiction to review the case on appeal. As a consequence, the only decision still existing is the arbitral award. Therefore, it seems that the Belgian competition authority considers that the effect of the award is to implement the URBSFA’s regulation which means that the arbitral award is ‘detached’ from the arbitral tribunal and deemed attributable to the football association and, as a consequence, may potentially constitute a restrictive practice. The new and important aspect of the decision being that the NCA will then review both the URBSFA regulations and its interpretation by the CBAS in its arbitral award, meaning that the Belgian competition authority will also assess the arbitral award. An explanation for this innovative argumentation is probably the fact that this case is a request for interim measures related to an individual decision, i.e. the arbitral award. The Belgian NCA, contrary to the established practice of EU institutions in similar cases, did not deal with it as an indirect challenge to the award via the URBSFA regulation. The NCA justifies its reasoning by saying that it must protect the effectiveness (“effet utile”) of later decisions on the merits of the case. It therefore recalls that its role is to enforce competition law provisions which are a matter of public policy based on the CJEU’s Eco Swiss (C-126/97) decision. This case concerns an action for annulment in commercial arbitration, but its findings can be extended to sports arbitration. Following the Eco Swiss jurisprudence, the responsibility for reviewing compliance with European public policy rules lies with the national courts of the Member States and not with the arbitrators. This means that it is for the judges to decide whether an arbitral award is in conformity with EU competition law and set it aside if it breaches these provisions. The Belgian competition authority extended that jurisprudence to its own assessment of the compatibility of the URBSFA regulation with EU competition law. Hence, if it had considered the regulation in breach of EU competition law, the award itself would have been found contrary to the same provisions and set aside. This means that, in the end, the NCA would have the ability to set aside the arbitral award without the interference of a (national) court in the meaning of the Eco Swiss judgment. Indeed, if the SGB’s rules are contrary to articles 101 or 102 TFEU, then the award is too. The NCA decision will, consequently, lead to the annulment of the arbitral decision which, in turn, will not be enforced. This is also important in the light of the Belgian competition authority decision that is, while attributing the award to the SGB, also allowing a control on the interpretation of the licensing rules by the CBAS. Nonetheless, the Belgian competition agrees with the CJEU and the Commission regarding the competition law arguments raised against the arbitral procedure. The White Star challenged the ‘forced’ appeal procedure in front of the CBAS provided by the federal regulation as well as the independence and impartiality of the CBAS on competition law grounds. 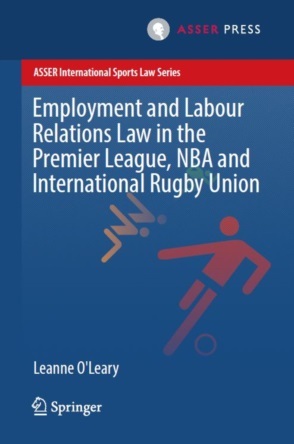 The CBAS invoked the findings in the recent Pechstein case (Bundesgerichtshof, KZR 6/15, 07/06/2016), very similar to the one at stake, to argue that the procedural characteristics in sports arbitration had already been found compatible with EU competition law. At the EU level, the Commission already considered that a forced arbitration clause would only constitute a breach of EU competition law if it supports a restrictive practice, but not on its own (see Cañas, p. 41). The Belgian competition authority, in turn, considers that there is not a prima facie competition law breach because of the possibility to appeal the arbitral award to the Tribunal of First Instance, a national court. The argumentation on this point is limited. However, one should remember that this is an interim measure decision and the NCA is only checking prima facie restrictions. Finally, the Belgian competition authority did not quite reply to the CBAS argument stating that preliminary measures would endanger the uniformity and organisation of sports arbitration if granted in that case. It recalled that in a previous case of interim relief regarding a CBAS sentence, a judge declared of its own motion that it had no jurisdiction to hear the case (Première instance du Hainaut, Division de Mons, 09/05/2016), but the Tribunal of First Instance did have jurisdiction by law. The question is whether the NCA created a third alternative of recourses against arbitral awards in addition to the one in front of the First Instance Tribunal. The NCA made sure to state that it is not an appeal body and, as such, its only preoccupation is to scrutinize that competition law provisions are applied. Therefore, the NCA did not create an alternative way of appeal, but the attribution of an arbitral award to a sport federation is a notable move. The CBAS argues in its conclusions that the judge in the proceeding detailed in article 1717 of the Belgian Code of Justice is as competent as the NCA to hear EU competition law arguments in the case of an appeal (where the Eco Swiss judgement applies). The CBAS argument is not entirely convincing. If this decision appears to be as important, it is because the NCA will, in most cases, have a greater capacity than a judge to decide if there is a competition law breach. On another hand, a question is raised about the extent of the control of the judge over public policy arguments in the case of a legal action against the enforcement of an arbitral award. For example, the French Cour de Cassation requires a control limited to a manifest error of assessment (Cour de Cassation, Chambre civile 1, of 13 October 1981, 80-11.098, Publié au bulletin). Indeed, in the Belgian case the NCA will exercise a more stringent control than just the identification of a flagrant infringement of competition law provisions. To add to the debate, in a recent case Advocate General Whatelet defended a stronger control of the judge over the compatibility of arbitral awards with EU competition law. The CJEU did not endorse this position but did not reject it either. The question whether arbitral awards and the rules they are based on will become subject to greater scrutiny under articles 101 and 102 TFEU is still pending. Consequently, the Belgian competition authority extended the EU competition law control over sports arbitration to cover the specific interpretation of the SGB’s regulations by an arbitral tribunal. As a consequence, and if this reasoning is confirmed, lawyers might be able to challenge an arbitral award directly with the national competition authorities if it appears to interpret the SGB’s regulations in contradiction with EU competition law. It should be noted that this procedure is only about provisional measures, but the legal reasoning used by the Belgian competition authority shakes the already shaky grounds of sports arbitration. After the Pechstein and SV Wihelmshaven cases in German courts, sports arbitration is anew put to the test based on EU law considerations. The Belgium decision went unnoticed because it is in French and the regulations at stake were not deemed contrary to competition law. However, if more national competition authorities follow a similar reasoning, more challenges of arbitral awards in sport matters will necessarily arise. The question that remains open is whether the Commission itself will welcome such a change or not. « Force est de constater qu’il s’agit là d’un ensemble de faits précis, graves et concordants qui remettent fondamentalement en cause l’affirmation selon laquelle la continuité du club peut être assurée pour la saison 2016-2017 », Cour Belge d’Arbitrage pour le Sport, 13/05/2016, p.23. See for example decision 2004-E/A-25, 04/03/2004. The NCA organises an informal procedure with the ProLeague, the Belgian professional football teams’ association, to monitor the sale of the media rights from 2005. In this framework the NCA had to examine the modification of the football federation’s regulation in 2015. See, for further explanation, Autorité Belge de la Concurrence, 14/07/2016 points 22-62, p. 65-69. « … la balance des intérêts de la Requérante et des autres clubs risque d’être compromise au cas où une infraction ne serait pas établie », Autorité Belge de la Concurrence, 14/07/2016 point 81, p. 177. For an in-depth analysis, see Antoine Duval, “The Court of arbitration for sport and EU Law: Chronicle of Encounter”, (2015) 22, Maastrich Journal of European and Comparative Law, 2, p. 224-255. « (…) Le rôle du TAS est comparable à celui d’un tribunal. Il rend des décisions arbitrales qui ont généralement la même force que des jugements de juridictions de droit commun. L’exercice de ces activités de jugement, ainsi que l’administration et le financement de ces activités par le CIAS, ne peuvent être considérés comme constituant une activité économique (…) Par conséquent, il semble difficile de qualifier le CIAS (ou le TAS) (…) d’entreprises ou d’associations d’entreprises au sens de l’article 81 et/ou 82 du traité CE. », COMP/39471, Certain joueurs de tennis professionnels v. Agence mondiale antidopage, ATP et CIAS, 12/10/2009, point 23. « […] Le Collège ne considère dès lors pas manifestement déraisonnable de penser que l’Autorité puisse constater qu’une interprétation d’un règlement qui entre dans le champ d’application des règles de concurrence, constitue une pratique restrictive même sans qu’elle ne soit sanctionnable dans le chef de l’instance qui l’a interprété […] », Autorité Belge de la Concurrence, 14/07/2016 point 53, p. 172. « Met à néant la décision prononcée par la Commission des Licences de l’ASBL URBSFA… », Cour Belge d’Arbitrage pour le Sport, 13/05/2016, p. 32. See supra 10 and « (…) [Le Collège] peut dès lors apprécier dans le cadre de cette procédure en matière de mesures provisoires, prima facie, la conformité avec le droit de la concurrence du Règlement fédéral et de son application et effets dans la mesure où le refus de licence continue à produire ses effets, même si la décision de la commission de l’URBSFA est formellement remplacée par la sentence arbitrale de la CBAS. », Autorité Belge de la Concurrence, 14/07/2016 point 53, p. 172. « […] de protéger dans le cadre de cette procédure en matière de mesures provisoires l’effet utile de la décision à prendre dans le cadre de la procédure de fond. […] », Autorité Belge de la Concurrence, 14/07/2016 point 53, p. 172. « Le Collège fait remarquer qu’une autorité de concurrence est chargée de la mise en œuvre de règles d’ordre public. […] », Autorité Belge de la Concurrence, 14/07/2016 point 52, p. 172. Autorité Belge de la Concurrence, 14/07/2016 point 62, p. 174. « Elle n’est pas une instance d’appel pour entendre des recours contre une décision attaquée », Supra, point 52, p. 172. Autorité Belge de la Concurrence, 14/07/2016 point 119, p. 146. Opinion of Advocate General Wathelet, 17/03/2016, Case C‑567/14, Genentech Inc.v Hoechst GmbH, formerly Hoechst AG, Sanofi-Aventis Deutschland GmbH and CJEU, 07/07/2016.